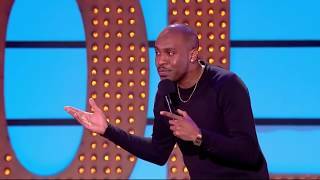 Fresh from hosting Live At The Apollo, and another sell out run at the Edionburgh Fringe, Dane Baptiste brings his third hit show on national tour! Original, provocative, and exceptionally crafted, G.O.D. (Gold. Oil. Drugs.) explores our worldwide pursuit of wealth, power, and pleasure.